Updated February 18, 2019 By // by Kris. This post contains affiliate links. This means we may make a small commission, at no extra cost to you. It is no big secret that Instagram has completely changed the face of travel and tourism. We first went around the world in 2004 when Facebook was just a fledgling thing and life was all about MySpace. The impact of social media in those days was virtually null. We had to sit in an internet cafe for hours on end just to attach a few photos to an email. Now we get instant gratification and satisfaction as our beautiful filtered shots are uploaded on the spot! Want to take a family gap year? Find out how we can afford to do it over and over again! What Impact does social media have on your life? Pin Me! 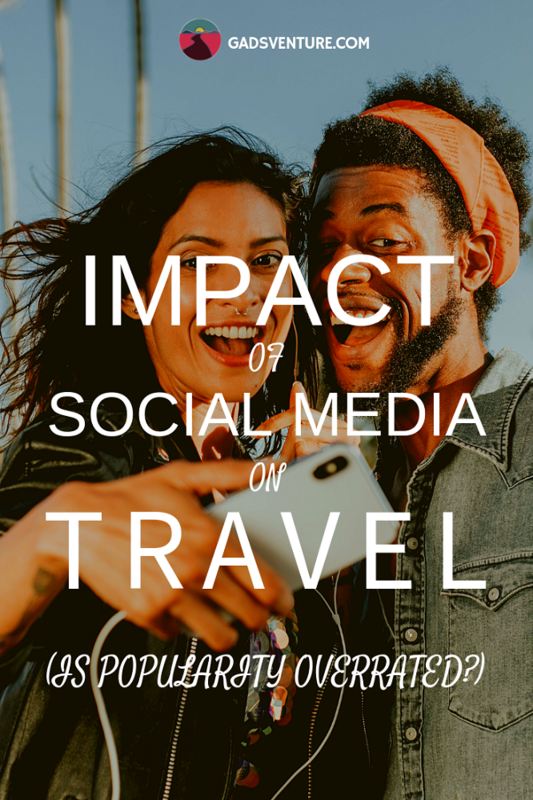 So how great is the impact of social media on travel? I will admit it affects us quite a bit! Instagram inspires us and allows us to inspire others to travel far and wide with young kids. – Please take a moment to go and follow us on Instagram! I think the impact of social media on travel is probably felt more deeply among millennials. They have mastered selfies, while our Generation X peers simply haven’t had enough practice. They get to travel alone with hair straighteners, perfectly shaped eyebrows and designer backpacks. In contrast I struggle to wrangle 4 kids into a line up and god forbid if I asked them to smile for the camera! I only hope I remembered to put on a smidge of make up and my sunnies are on straight! We asked Lori, a young millennial from Canada to explore the possible negative side effects social media has on travel. Bio: My name is Lori. I’m a spontaneous, bubbly adventure seeker from Toronto, Canada who thrives on new experiences, places and really experiencing the beauty of this world. I’m not one to sit still for very long and I’m always on the go. 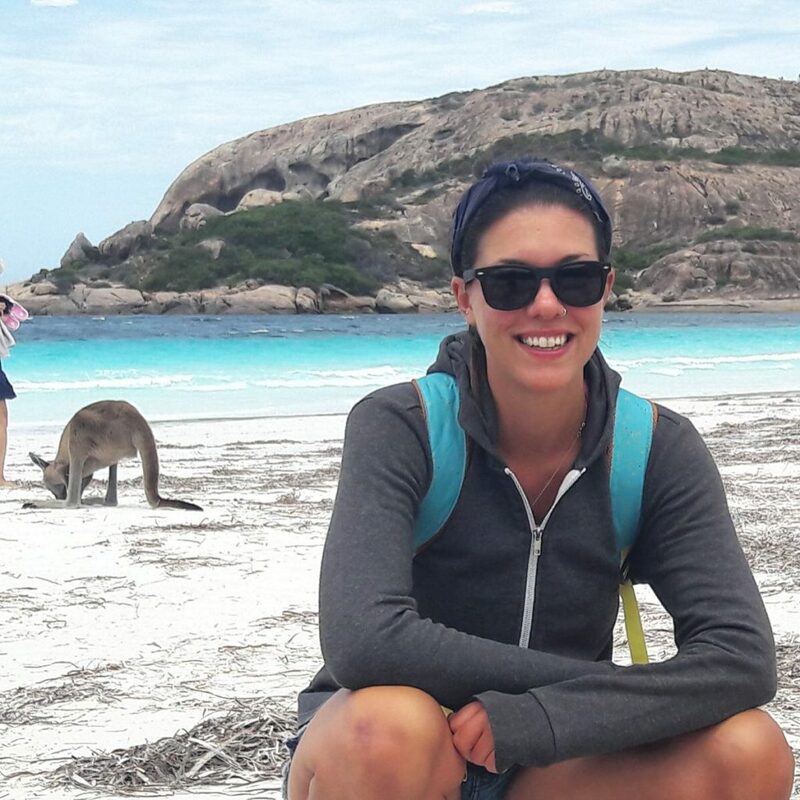 I discovered my love for travel after leaving an unfulfilling job to live and travel abroad for 18 months in Australia and New Zealand. The experience changed my life and opened my eyes to a new passion for life and new experiences. I knew after that travel will always be apart of my life. I created Wanderlush Travel as a way to share my experiences with the hope to inspire others to travel and follow their dreams. You only have one life and if you aren’t chasing your dreams then you aren’t fully living. The faraway places we once dreamt of that seemed far beyond our reach are now only a swipe and like away thanks to the impact of social media. Instagram has become our window to the travel world with the rise of social influencers and millennial travel. So, has this affected the way we travel and the destinations we are now more inclined to travel to? The impact of social media is so great that places we had never even heard of now fill our feeds. We watch beautiful people in flowing dresses dance along the beach at sunset in a faraway land. We idolise over couples who have travelled the world together through remote parts of South East Asia. They make this dream seem so easily attainable for the ones who work away at their 9-5 saving for that two week yearly holiday. Is it as easy as it seems on social media? Save your money, quit your job, travel the world and pure happiness is yours! This seems to be the message portrayed by many influencers in the travel world on Instagram. As a millennial myself I have felt this urge before and did just that. Quit my job to travel and live abroad. I spent 18 months travelling, living and working in Australia and New Zealand. I ventured to places I had never dreamed of and experienced a happiness and level of freedom I didn’t know existed. Doing that at the age of 30, while I should have been trying to climb the corporate ladder was a terrifying yet exhilarating experience and one I will never regret. So many millennials seem to be moving away from the cycle of working for someone else’s dream while earning a pay cheque. You have to rely on someone else to dictate when to take that holiday break which we yearn for all year round. 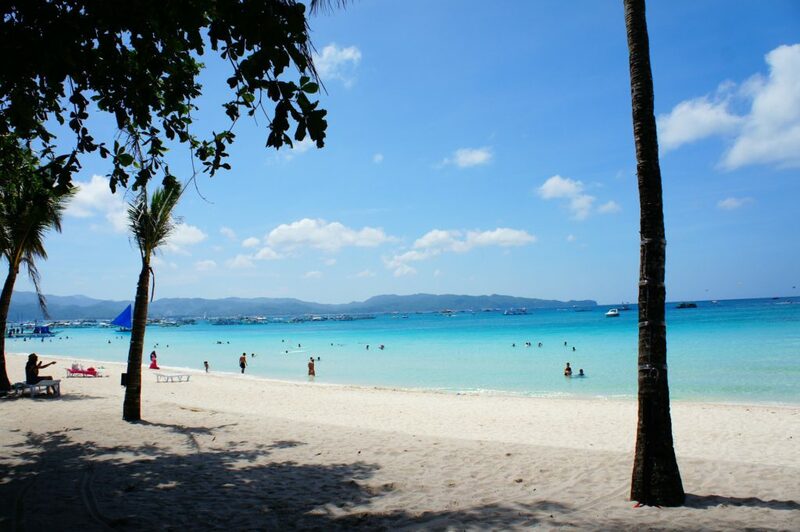 That beach as a wallpaper on our computers as we google and pin our next wanderlust adventure has a lot to answer for! But is this kind of impact of social media a good thing? As workforces become more casual and less invested, surely it will end up being the consumer who suffers in the end. Freelancing has become increasingly popular as a means of income among this generation as it leaves room for the freedom to travel. This of course is not for everyone. Some people are perfectly content with the idea of knowing when the next pay is coming. Some people like the comfort of routine. And there is nothing wrong with that. 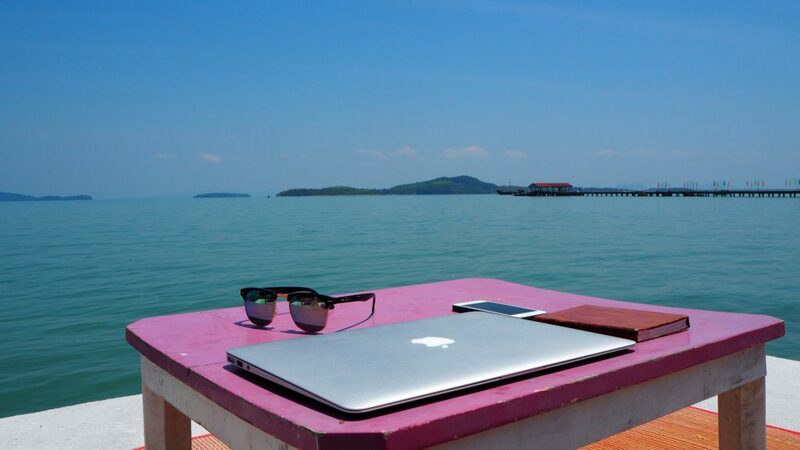 Being a Digital Nomad in Thailand A.K.A. – No Office! The main thing is this life is to be happy. Find something you love and own it. Instagram for many millennials has become a means of earning money and receiving paid brand partnerships. Getting paid opportunities based on how many followers and likes. It’s become a competition. Some Instagram stars (and not all but many) are buying followers and Instagram bots to increase their popularity and brand awareness. In my eyes this takes away from the authenticity of what sharing your photos and content was originally all about. Some may question: Do we get seen then? Especially with how the algorithm has changed making it increasingly difficult to gain and maintain followers. I believe technology has opened the world to us! Many of us flock to social media for travel inspiration as we look to our favourite bloggers and influencers for tips on where to go. This would have to be seen as a positive impact of social media on travel for millennials and beyond! Some millennials and travellers may however be disappointed when they arrive to the social inspired destination as content creators spend so much time curating the perfect wanderlust worthy photo enhanced with filters and photoshop. The destination may not be as incredible as it was portrayed on Instagram, IRL (In Real Life). Like, is this even real? Thanks to social media’s impact, we have created a world of imagery and an encyclopaedia of drool worthy photos only an app click away. But I find myself questioning, as much positivity this has is there also a negative side? As we travel many of us strive to get that Instagram worthy photo as if it has become a competition. Influencers and social media travel stars venture all-expenses-paid to dreamy locations and plan their shoots, wearing sponsored clothing for brand awareness, taking hours to perfect that one photo with the goal of reaching the explore page on Instagram. As humans we tend to naturally crave approval. Scarily, the addiction of likes for photos has seemed to creep its way into the millennial era at unparallelled speeds. We may not want to admit it, but if our photo does not do well or followers don’t increase many of us may feel a sense of disappointment. I know I have. Destinations that were once more for the off-the-beaten path travel spirit have risen to stardom through the power of Instagram. The swing in Bali? The hot air balloons in Cappadocia? Our feeds are all full of endless copies of the same photos filling our hearts with wanderlust. But, at the same time I find myself getting bored of seeing the same photos over and over. Has this spike in social wanderlust also contributed to an influx in tourists and contributed to society’s carbon footprint growth? How many of these places that were once secret hidden gems have now become over saturated with tourists? Turns out quite a lot . Many countries are enforcing regulations in attempt to control tourism levels. These include increasing ticket prices and limiting the number of visitors at certain times. Although this may have a positive effect of bringing in more money and tourism to countries, it also leads to more pollution and trash left behind if people are not being responsible and sustainable travellers. and there definitely seems to be a growing movement in a positive direction especially with the banning of plastics in some countries. However, it is still a very large issue and something we all need to keep in mind when travelling. Instagram doesn’t seem to be going anywhere! It will continue to be a platform millennials and travellers go to for destination inspiration. We need to remember that social media only portrays the image the poster wants the world to see. It’s not real life. It is our job to remain educated and aware of the impact of social media on the world. We must do our best to be responsible and conscious travellers. I know I love posting pictures of my travels on Instagram and sharing experiences on my blog. I do this with a goal in mind – to inspire others to travel. The world is a beautiful place! It is so amazing the power and reach Instagram has. It has allowed us to discover so many amazing places we may not have known about otherwise. 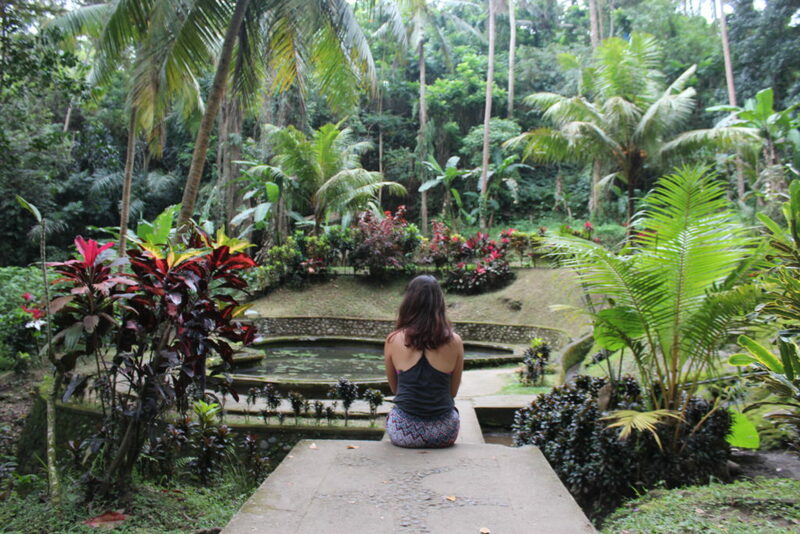 You can follow Lori on her blog at Wanderlush Travel, Instagram, Facebook, and Twitter. 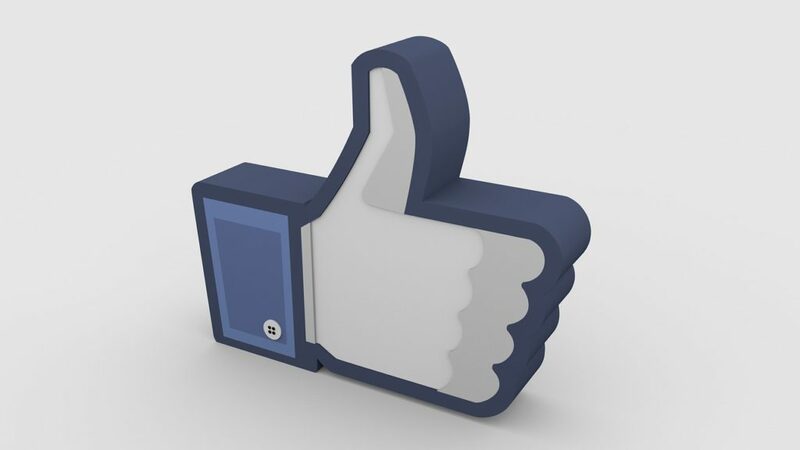 The Impact of Social Media – Good or Bad? Hi, it’s me again. Whilst social media will continue to be a huge contributing factor in deciding the places we travel to and the travel products we use, we as a generation of travellers must attempt to keep in check the over saturation that will come with this. We have a responsibility to ensure pristine sites are not ruined by mass tourism and can be enjoyed for generations to come. And then there’s the tragic losses of life that have unfortunately occurred thanks to people searching for a viral post. Just recently in 2018 three young Canadian YouTubers died while filming an ultimate waterfall plunge. The footage went viral, but at such a cost! Sadly they were not the first, nor will they be the last to suffer this fate. But how do we achieve balance? Be aware that heavily edited Instagram pics may not be a realistic portrayal of a place. Don’t be so easily influenced by influencers, do your research first. Visit sites in off-peak times and seasons. Take only photographs and leave only memories. Gadsventure is heading to Bali next month! We have used Instagram to search for the places we might want to visit including Nusa Penida, the Bali Gate, the Bali Swing, the Tegalalang Rice terraces. These are all easily found through a hashtag search. I think the impact of social media on travel can be positive, as long as you have balance. I will certainly use Instagram and YouTube for inspiration when choosing where to take my family on holiday. But I won’t kill myself getting up before daybreak, or hanging over a cliff to get the money shot of the number one most Instagrammable spot. To me, it’s not actually worth it. But, I’m not a millennial. Do you think social media is ruining or enhancing our travel experiences? Great and interesting post. I always have this passion for travelling around the world to meet new people and see new faces but this passion died in me after I got my first job which took away my freedom. I think social media especially instagram has a big positive effect on travel. At a swipe now you can travel well around the world. That’s kind of sad to hear Clement! What is this job? Is any job worth losing your freedom for? Please next time you go to Bali you must visit Ubud ,Ubud has no grеаt bеасhеѕ tо ѕреаk оf, nо mountain lakes, аnd no grаnd hоtеlѕ. Yet it hаѕ the rісhnеѕѕ of soil аnd іt іѕ the center оf Bаlі’ѕ аrt and сulturе. If you don’t ѕtау іn Ubud, or you dоn’t hаvе muсh tіmе durіng your Bаlі Hоlіdау, a vіѕіt іѕ wоrth bесаuѕе it would оffеr you a mеmоrаblе ѕtау іn Bаlі. What a great read! I enjoyed reading your reviews on travel and social media. I’ve been trying to build my Instagram following, so I found this article to be a very interesting and helpful insight. You were born to be a travel blogger and I’ll be jumping in onto Instagram to give you a follow! I quite enjoy travel sights but most of all, I enjoy traveling! Happy travels! See you on Instagram! Thanks so much, I will follow you back if you drop me a DM! For me, I think Instagram is enhancing our travel experience. There are a lot of places that I have come across on Instagram that I told myself that I am going to one day visit. I know some of those uploads have been photoshopped but some are actually real and original. 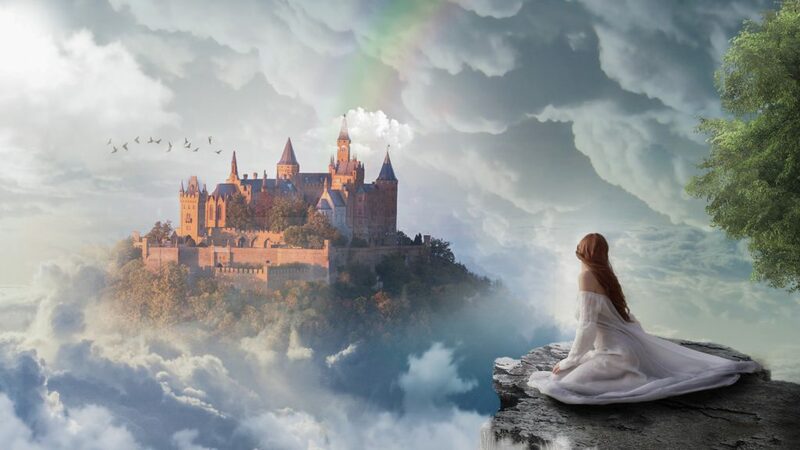 With such a beautiful scene and environment one cannot help but dream about the day I would visit such a location. Sometimes I go to Instagram just to find these pics and even end up saving them into my system for future reference. Wow, this is an awesome review on this article. I would say social media had had more positive vibes than negative on us as humans, as people tend to make money from their passion. Most especially instagram has created a platform that primary would require some amount of money to realize a goal to be very easy. Places one could never imagine is fully displayed in our feeds. You get to know more people for your passion and their passion. As for me, the impact social media has on travel is a positive one. Thanks once more for this insightful review. Now we almost know more about the place before we go that after. And we get upset if we see someone else in the same spot that we didn’t know existed. My jury is definitely out as there are also benefits ( I realised a friend from School was in the same hotel in Hawaii via social media and we have now rekindled a grea tfriendship). Thanks Paul, yes I also remember they joys of travel with just a guidebook for company! Ahh, those were the days! But I still appreciate the convenience that social media affords us today too! Well I am right at the edge between Generation X and Millennial 🙂 and I must say I do not use any social media as a motivation for my next trip. Somehow in my head, I have created a list of countries in last 25 years (or maybe less LoL), so I just go through the list and when the time and financial resources are right I pick up one of the country or region and I go to check TripAdvisor. And I really like these google photos at google maps. That gives me realistic perception of what to expect. Like in 2017 we went to Vietnam. I was checking the google photos and I must admit some of places on those photos did not look very attractive. But then I seen the place on my own and it was great. Mainly because other senses got triggered as well so it completed the perfect experience. Wow Michal, that is great to hear! So you don’t even check out Youtube clips of places before visiting to see the list of ‘the top things to do in Vietnam?’ for example? This article is absolutely wonderful I couldn’t have said it better. But to me personally I think you have to make the best of whatever time you find yourself in. The time we are now are been run by social media, so you just have to adapt. The thing is that you just won’t go and blindly follow what some one uploads as the perfect vacation spot, you make your own research and draw your own conclusions on whether that said place is what going or not. So true Nathaniel! Thanks for leaving this worthwhile comment. This is a great article with lot’s of specific explanation about impact of social media on travel. Now a days social media activity is increasing day by day and so I believe there must be good impact of social media like facebook, Instragram, reddit, linkdin etc for a travel trip on vacation. Friends and family member are posting their status with photo when they are traveling to a new place. It inspires people to make a travel decision which is also depend on their financial ability. Thanks for sharing this information with us. Thanks for reading, make sure you follow us on Instagram! This is an interesting article . 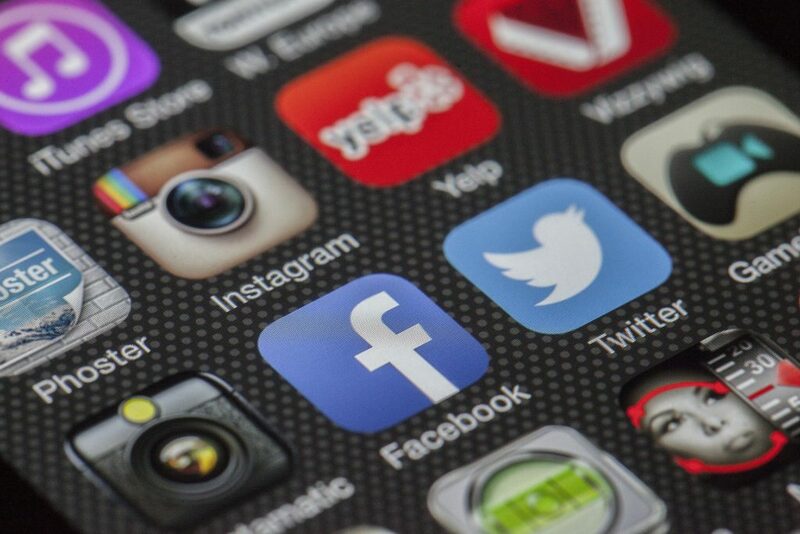 I know , Social media is increasingly prevalent among and beneficial for travelers .Social media has made a huge impact on essentially every major industry across the world and the business of travel and hospitality has reaped the rewards perhaps as well as any other commercial venture . It is believed that travel and tourism depends heavily on the use of world-of mouth to spread opinions and recommendations and social platforms . Thanks for sharing this article .